Exposure to nature has great benefits, particularly towards our sense of mental well-being and mental health. Yet until some research published this month, the duration of time required to benefit from being around nature was less clear. This was the first study to employ long term, repeated assessment and, rather than being prescriptive, participants were able to choose the time of day, duration and the place of their nature experience based upon personal preference and changing daily schedules. In this way, it was much more like 'real-life' than a laboratory controlled experiment to assess the impact of a nature experience on stress (using two physiological saliva biomarkers). Now I don't know about you but I love those moments where you can find a peaceful spot in nature away from all the usual hustle and bustle, noise and demands of everyday life. About forty minutes down the road from me there is an RSPB nature reserve which is a wonderful place to find that sense of tranquility and peace, even if like me, bird watching is not high up on your list. As a family we've recently rejoined the National Trust and although these sorts of places can get crowded sometimes, there is usually some woodland of secluded natural space to wander around and explore. The other weekend we headed over to Ickworth House near Bury St Edmunds to grab some family time in nature away from screens and shops. Now, as it happens peace and quiet weren't quite the order of that day because there was a Napoleonic Way re-enactment going on (think cannons, soldiers and guns!). That said, it was a great experience to stand, watch and enjoy the re-enactment. Certainly it was a lovely mental escape to just be present, watch and enjoy without a million other distractions and thoughts going on (a different form of being present and mindful!). I think you've got to be impressed with the dedication and enthusiasm of all involved (particularly as they camped out in the wind, cold and rain all weekend to put their passion into practice). Yet, in the absence of a full scale mock war, how can you use the latest research to improve your own mental health and well-being and to reduce stress in your daily life? Recently the Royal College of Psychiatrists advised their members to consider the impact of social media on all children they assess for mental health problems such as anxiety and depression. To be honest I like to think that most psychiatrists, like other mental health professionals, were already doing this with both children and adults, because these days social media use, apps and other online sources form part of most people's everyday lifestyle in some way. So if you are doing a thorough job of discussing with someone when they experience their anxiety, what triggers it, what exacerbates it and what can ease it, technology is probably going to be in there somewhere. That's not to say that all social media and online stuff is necessarily harmful to mental health, yet it makes sense to consider whether it is either a negative or a positive thing for you. The BBC reported recently about the increase in the number of anti-depressant prescriptions dispensed in England in 2018. In fact, the number of prescriptions for anti-depressants in England has nearly doubled in the last decade (2008-18). NHS Digital figures showed that the number of prescriptions for these medicines, which are a common medicinal treatment for anxiety and depression issues, had jumped from 67.5 million in 2017 to 70.9 million in 2018. Based upon these figures, it seems the continuing rise in prescribing anti-depressants is likely to continue to grow and grow. Putting aside the cost upon the NHS, should we be worried by this continuing upward trend in prescriptions? Is Sedentary Behaviour Affecting your physical and mental health? I've written many times before about the value of exercise and getting moving to boost your physical and mental health. In my own life my exercise is now a central part of how I prioritise my physical and mental health and I can really notice the difference if I miss my training for a while. Yet it isn't just because I enjoy it that I promote getting moving; it's because research upon research demonstrates that getting active brings benefits physically and mentally. Getting moving and exercise improve our mental health, boost our mood, can reduce symptoms of depression and help reduce anxiety. As if that wasn't enough a recently published report looked at the impact of sedentary behaviour in the UK and, in looking at the cost burden on the NHS of sedentary lifestyles, once again highlighted the negative impacts on health. People often ask me how it is that, despite the thousands of research papers and positive results achieved through hypnotherapy, hypnosis is still not available through the NHS in the UK. And I believe that the answer comes down to the money to develop and provide it and train staff and so on, and misunderstanding about what hypnosis actually is and what it involves. 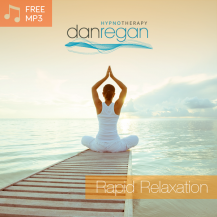 A few months back I was talking to a prominent mental health advocate who told me that, although he felt he needed therapeutic help with an issue that hypnotherapy is well suited for, he was worried about being 'out of control' during the hypnosis. Now this is a mental health advocate who speaks at schools and other organisations yet who was unaware that the science and practice of hypnotherapy is, in fact, the opposite of his perception. You learn how to take back control over your thoughts and feelings and 'mind' rather than seemingly having to just live with anxiety, stress and worry. And if those within the mental health profession don't get it then no wonder hypnotherapy is where it is (despite all the positive scientific evidence in its favour and despite the research that shows that hypnosis tends to increase the results of cognitive behavioural therapy). 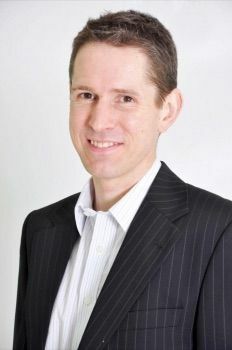 Although interestingly I've worked with many doctors, some of whom have even sent their patients and their kids to work with me, so perhaps there is a growing understanding of the role that hypnotherapy can play in improving our mental health. Anxiety can take pretty much most things in life and ramp up those anxious thoughts and feelings until they dominate your mind. And it really could be anything that ignites the anxiety, from a remark someone says, the way someone looks at you or a particular event or situation. Before you know it you just can't switch off from it and it starts to have an impact on you. Recently, I had a health 'thing' that had all the potential to explode into a great ball of anxiety, and which, I'm pretty certain, would have done so in the past when anxiety was a big part of who I was. It was the sort of health thing that clients have told me about and which can affect them whether they have general anxiety or health anxiety problems. Now, one thing that clients often remark upon is how calm I always seem. No matter what is going on, they tell me, I seem to have this aura of calmness about me. In fact, only a week or so ago, one client asked me whether anything ever bothers me or makes me anxious! As much as I admire Sherlock Holmes and his critical reasoning abilities, I'm not a robot and we are all meant to experience emotion that is appropriate to what we are facing. Yet, I also know that by developing the ability to challenge anxious thinking it is possible to learn how to stop habitual anxiety provoking thought patterns from leading us to a place of massive, unwanted anxiety. Anxiety and depression levels continue to rise and rise, despite the numerous national and local initiatives put in place to try and counter them. The Psychiatric Morbidity Survey provides data on both treated and untreated mental health issues among adults in England. Their most recent survey results (from 2014, published in 2016), indicate that one in six adults in England has a common mental health disorder (which includes anxiety and depression). This translates to about one woman in five and one man in eight having a mental health disorder, and the rate has increased in women and remained largely stable in men. Perhaps even more alarming is that rates of self-harming have increased in men and women and across age groups since 2007. Despite all the programmes and talking, mental health issues such as anxiety and depression continue to increase and impact on more and more people. The human cost of all this anxiety and depression, and the impacts that go with it, can't even be estimated. Now, new data from America has suggested that there has been a generational shift in mood disorders towards certain age groups. In my last article I wrote about the evidence for hypnotherapy for Irritable Bowel Syndrome (IBS) and how research has demonstrated how hypnosis can really help alleviate the symptoms of IBS (you can read that article here: Hypnotherapy for IBS). IBS is a chronic functional gastrointestinal disorder that is estimated to affect up to 15% of people. It causes persistent pain or discomfort that is associated with relief with defecation, looser or more frequent stools, or harder or less frequent stools. The symptoms need to have been present at least three days per month over the past three months for a diagnosis of IBS. One feature I mentioned in that last article was how IBS and anxiety often go together. There may be anxiety around needing the toilet urgently when out, or about getting caught out if there is no toilet available and there is an urgent need to go. There may be anxiety around experiencing symptoms when with other people or about being in discomfort or needing the loo urgently when with others. And there is often an elevated level of anxiety around any situation that may involve feeling 'trapped' or out of control such as being a passenger in a car or on a train where there may be little control over going to the toilet if needed. And, of course, as well as IBS symptoms, anxiety itself can impact on our stomachs and digestive system which can exacerbate IBS type symptoms and lead to even more anxiety. It can become a very cyclical cycle of IBS creating anxiety and the anxiety then worsening the IBS symptoms...leading to more anxiety. Irritable Bowel Syndrome (IBS) is a common yet complicated condition that affects your digestive system. Typical symptoms include stomach cramps, bloating, diarrhoea, abdominal pain and constipation, any of which may last from a day or so to much longer periods of time. Perhaps the most frustrating element of IBS if you suffer with it, is that it is usually a lifelong problem with no known 'cure' and there is still no universally agreed understanding of what causes it. I've worked with a lot of IBS sufferers and often stress and anxiety can exacerbate the symptoms yet IBS can also create its own anxiety. With IBS you may feel anxious about going places in case it strikes and may find yourself checking whether there are toilets available, avoiding going certain places if it would not be easy to get to a toilet or if there isn't one easily available and sometimes even avoiding eating to hopefully be free from symptoms when out and about. It can start to place huge limits on your life and whilst conventional medical interventions such as medication, education and dietary changes may help to some degree, it may not provide relief for your IBS bowel symptoms (or ease the anxiety that goes with the symptoms). When those traditional treatment approaches do not alleviate IBS symptoms, many people turn to treatments such as hypnotherapy for their irritable bowel syndrome. So, how effective is hypnotherapy for IBS? In my last blog I wrote all about the evidence for the anti-depressant effect of exercise on those with clinical depression (you can read that here: Depression: Does aerobic exercise have anti-depressant effects?). The overall conclusions suggest that, with depression, it makes sense to include some active exercise components in your treatment plan. 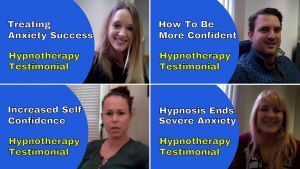 In this post I'm going to be looking at the effectiveness of cognitive hypnotherapy to help reduce symptoms of depression. 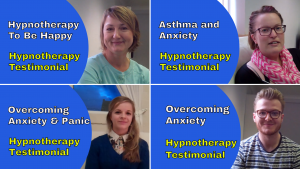 Hypnotherapy can help in many ways with the psychological aspects of depression, including motivation and tackling rumination, anxiety and worry. We are going to be looking at a study that compared the effects of cognitive behavioural therapy (a well established treatment for depression) with clinical hypnotherapy to empirically investigate the additive effect of hypnosis in the management of chronic depression. Depression: Does aerobic exercise have anti-depressant effects? Hypnosis and Exam Anxiety - Could hypnotherapy help you perform to your best in exams?